Molicare Super Briefs: Medline Molicare Super Extended Capacity Briefs Are Designed To Keep Patients Dry And Protected During Heavy Overnight Flows. 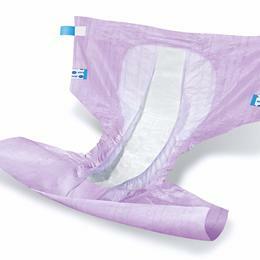 Comfort Stretch Poly Increases Comfort And Maximizes Patient Mobility. Anti-Leak Cuffs For Containment. Discreet Profile For Comfort And Dignity. High Tech 3-Part Absorbent Core For Added Dryness. Dual Tapes For Refastening. Large/X-Large, 43"- 64" (109Cm - 163Cm).